The Church Hill Inn combines the very best of a large bed & breakfast with the luxury and amenities of an elegant country hotel. All of our 34 guest rooms are individually themed and decorated and open out onto cozy parlor areas, each complete with its own fireplace. A full cooked breakfast is included each morning & snacks in the afternoon. 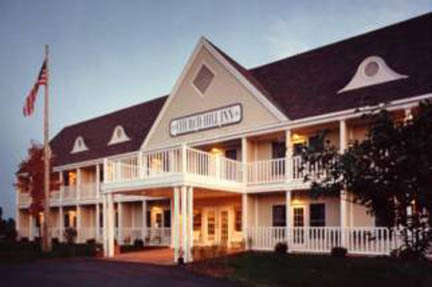 The inn also boasts an exercise room, sauna, jacuzzi, free WIFI and our English Pub honor bar.